This is a question from Angela. I have a brick fireplace that is flush with the wall. The upper portion is drywalled. I would like to remove a portion of the upper drywall and expose more brick. It’s an exterior wall. Or click to follow along with the transcript below. I love this fireplace question. Angela: I saw a picture of a fireplace like mine. 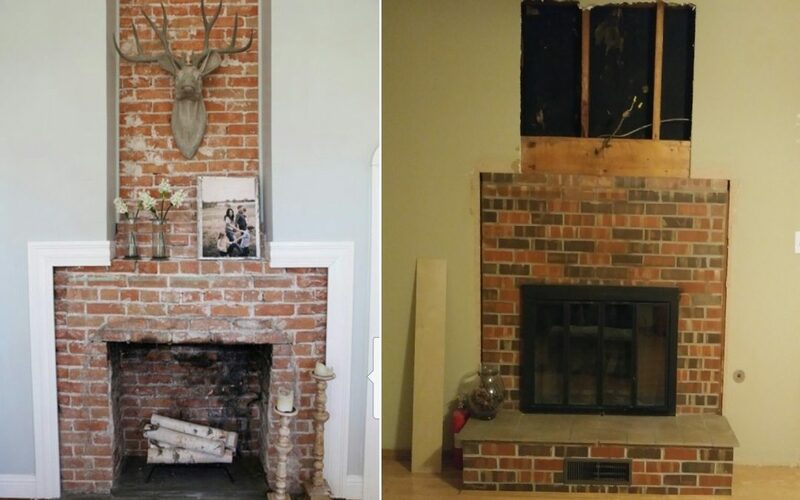 It had the upper drywall removed, and more brick exposed. I thought that would look nice in my room, so over this weekend we opened up the wall. There was a header on top of the fireplace. It also has a couple (2 x 4)s or (2 x 8)s coming down. Todd: Looking at this picture, that’s what you’re seeing. It is a header. Also, those two-by-fours that are coming down are supporting your roof. This is an exterior wall, so that is a total bearing wall. Yes, absolutely. Angela: I didn’t know how much I could get away with to expose the back of that brick. Todd: It’s probably not a good idea to take those two short, little studs out -no. I would not take those out. 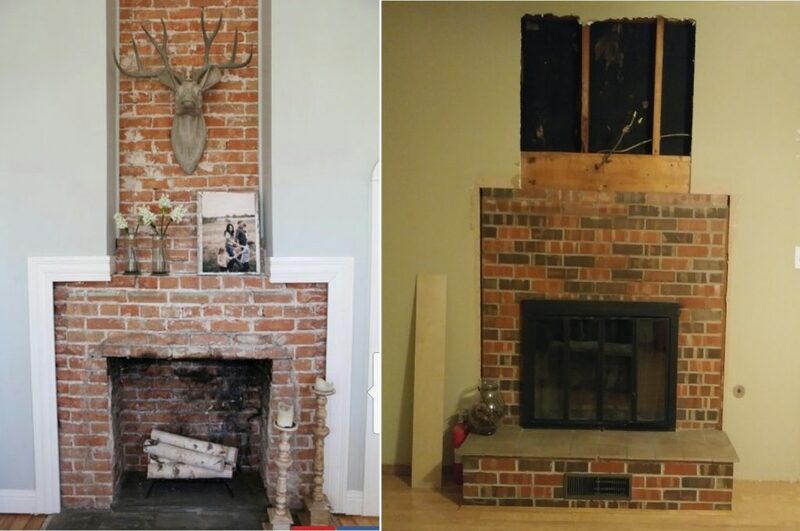 Have you thought about putting a mantle above the brick and then starting brick above the mantle? Doing that would not disturb that header. Angela: I wanted to put a real chunky Timber-like mantle but it’s pretty high. You need a structural engineer to look at the project and give their blessing. Be sure that any added weight to this fireplace is not over-bearing at it’s Footer area. Reach out to a contractor or an engineer to look for possible structural issues.